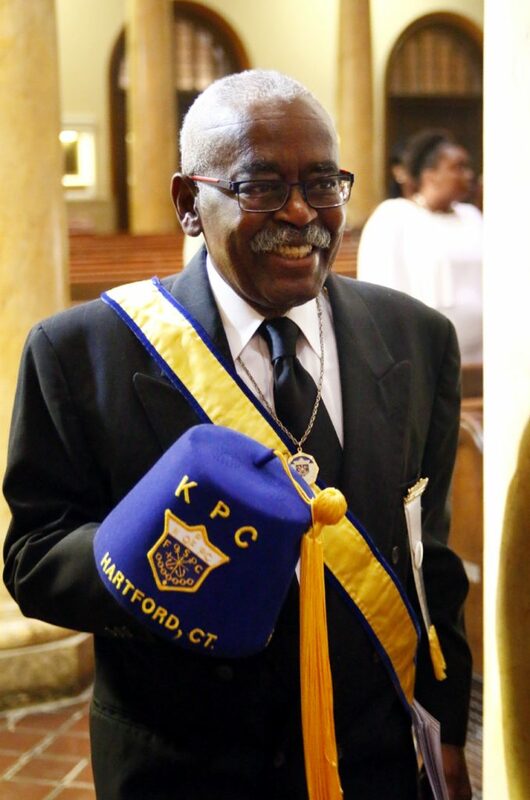 Knight of Peter Claver Lew Brown from Hartford, Connecticut. 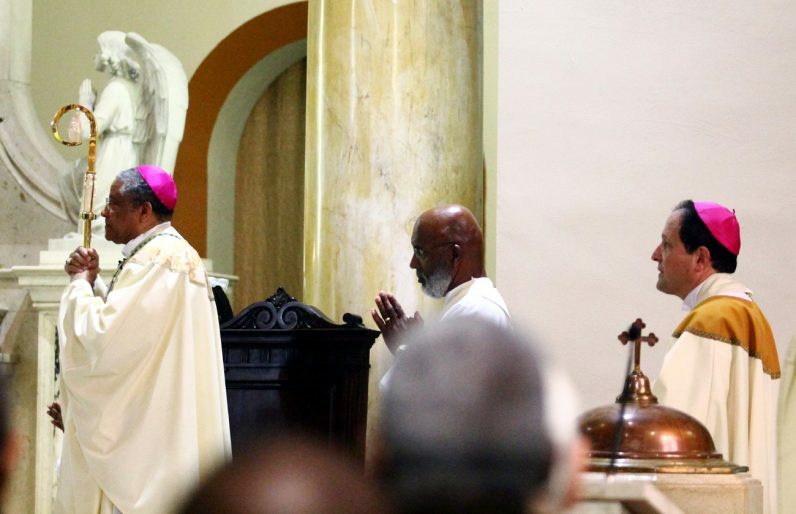 Celebrating the Mass are, from left, Auxiliary Bishop Joseph Perry of Chicago, Deacon William Bradley of the archdiocesan Office for Black Catholics and Auxiliary Bishop John McIntyre of Philadelphia. 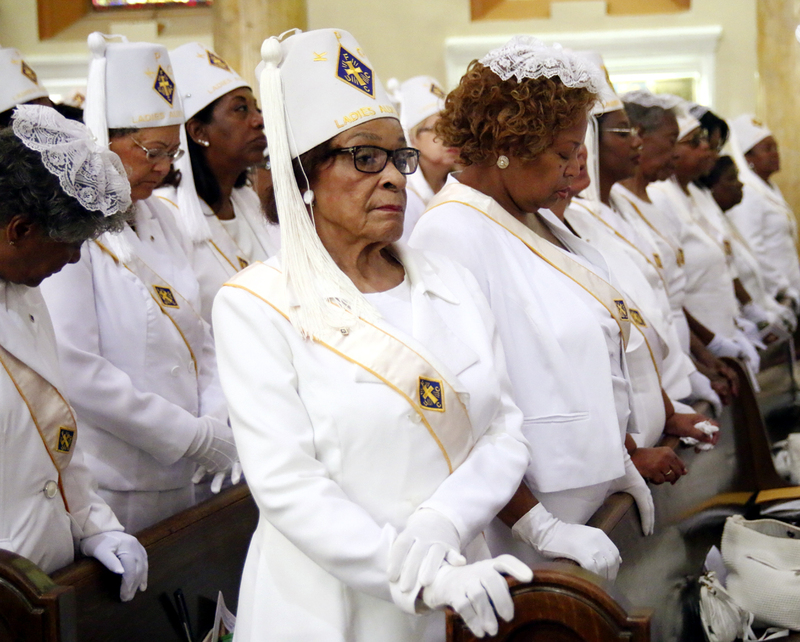 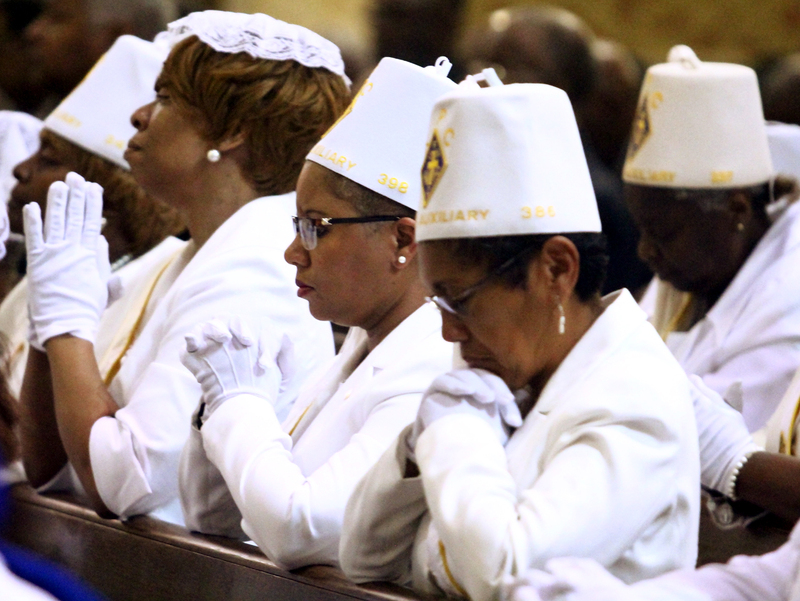 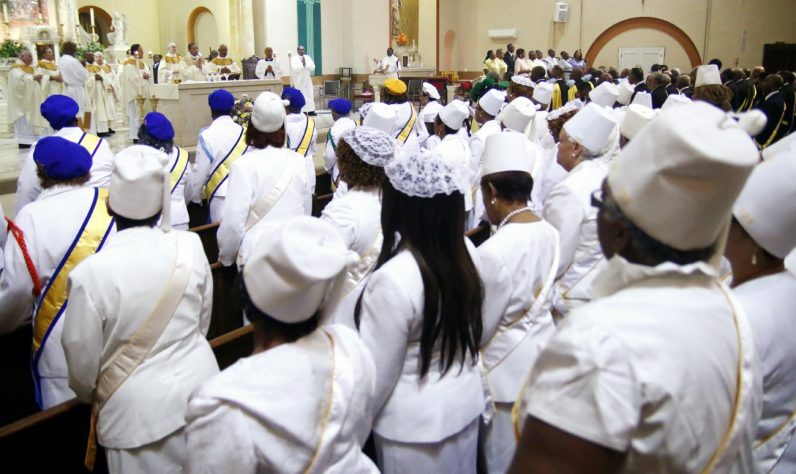 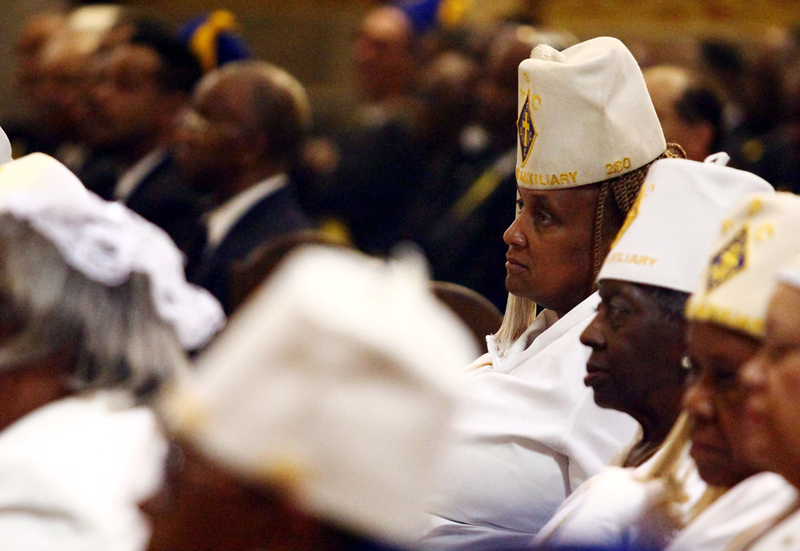 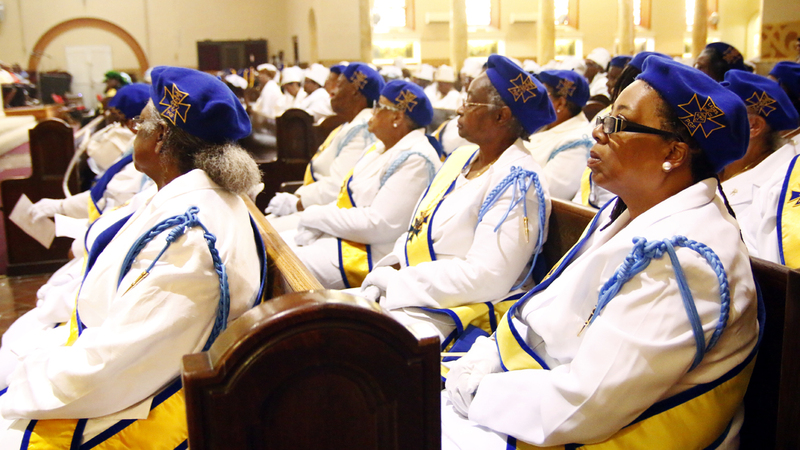 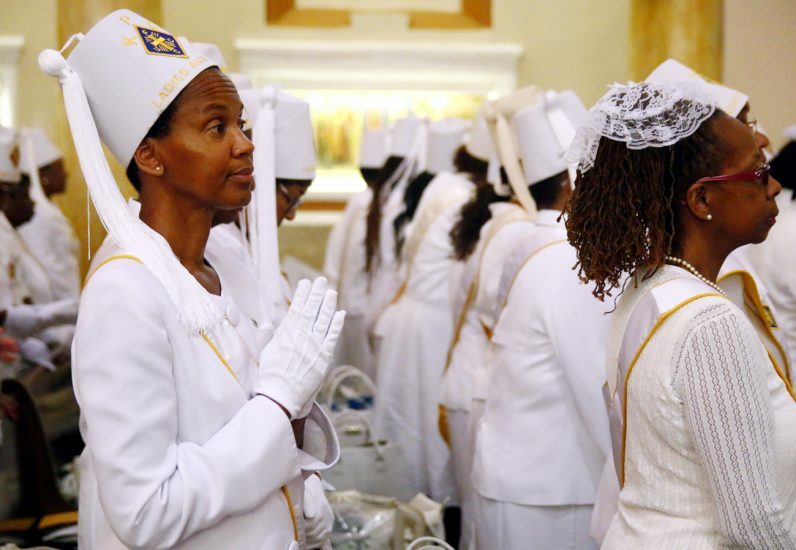 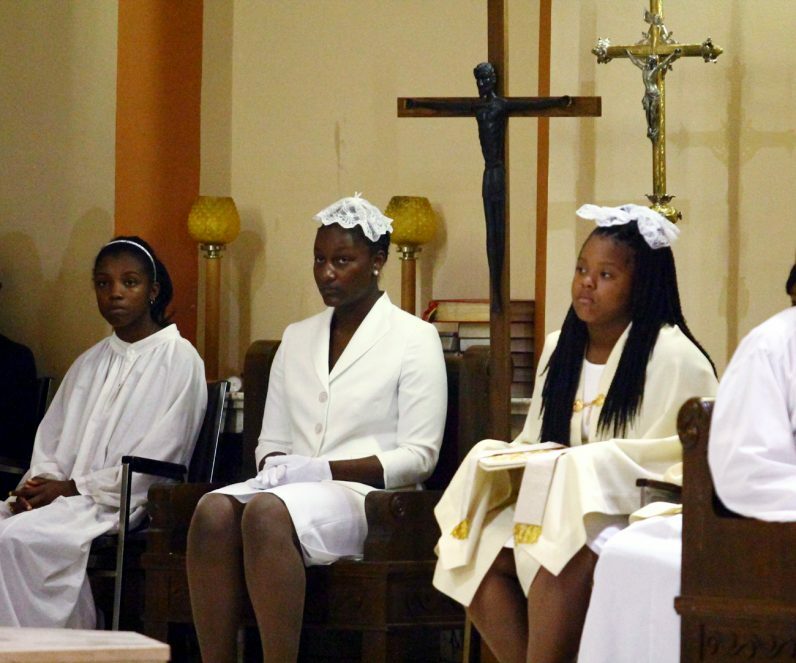 Lady Doris Watson from St. Athanasius Parish in West Oak Lane, Philadelphia, attends the Mass for St. Peter Claver along with fellow Ladies Auxiliary members. 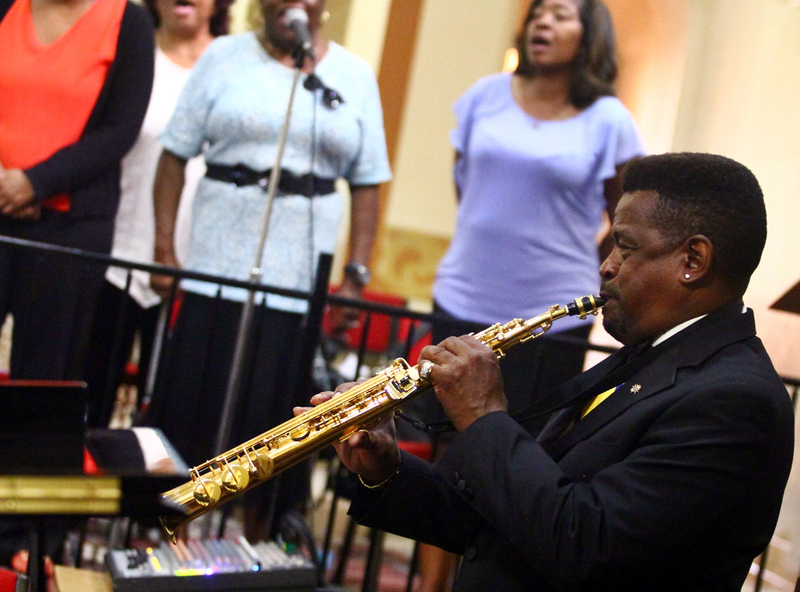 Knight Cleveland Horton adds a beautiful tone to the Mass with his soprano saxophone, as the choir leads the congregation in song. 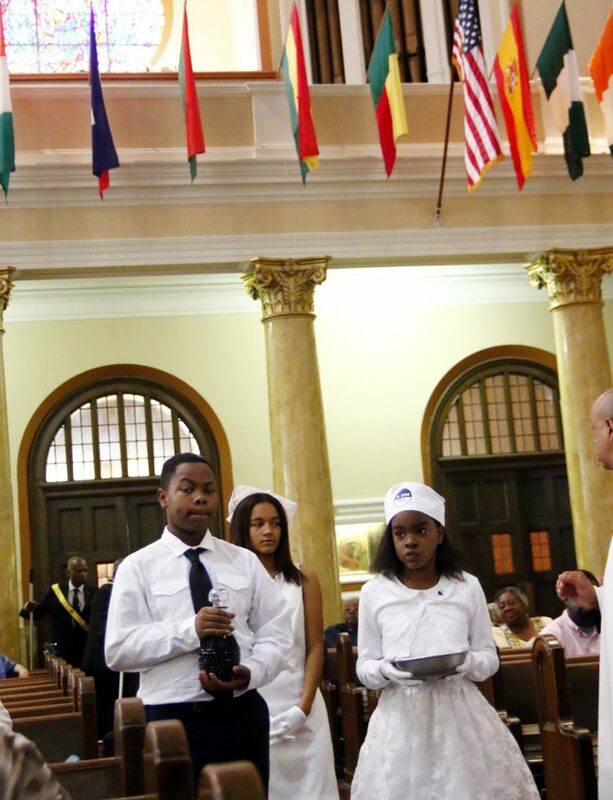 Junior Knight and Junior Daughters of St. Peter Claver present the offertory gifts for the Mass. 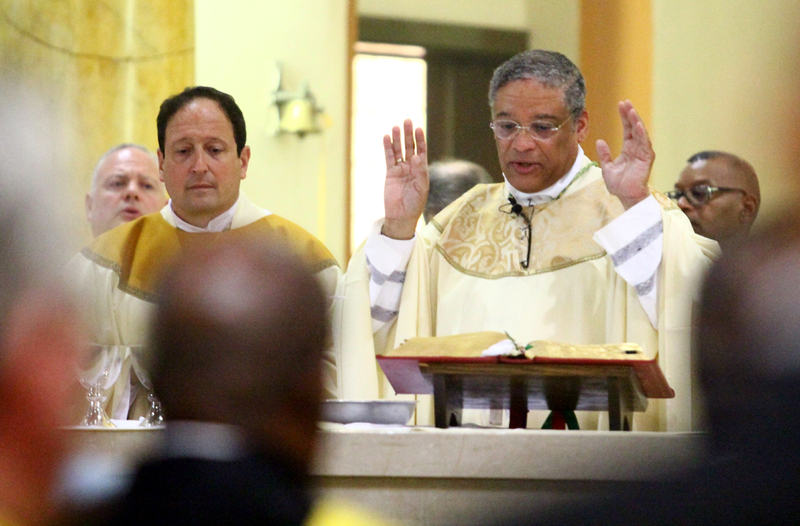 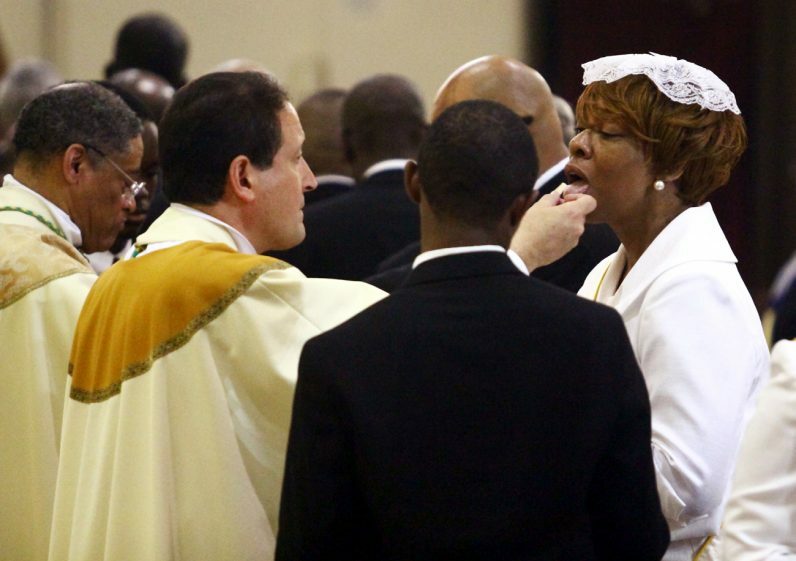 Bishop John McIntyre (left) Bishop Joseph Perry and brother priests concelebrate Mass in honor of St. Peter Claver. St. Cyprian church was filled with joyful praise and reverent prayer for the Mass. 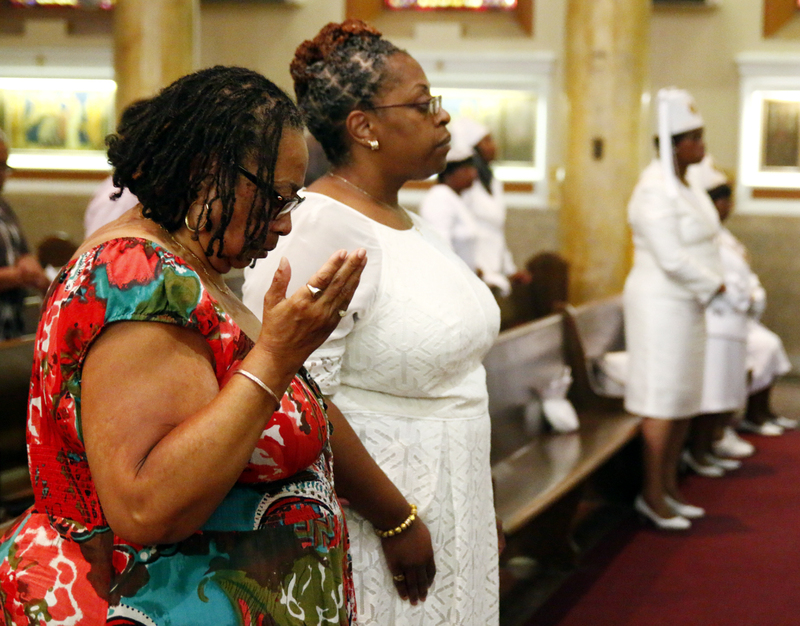 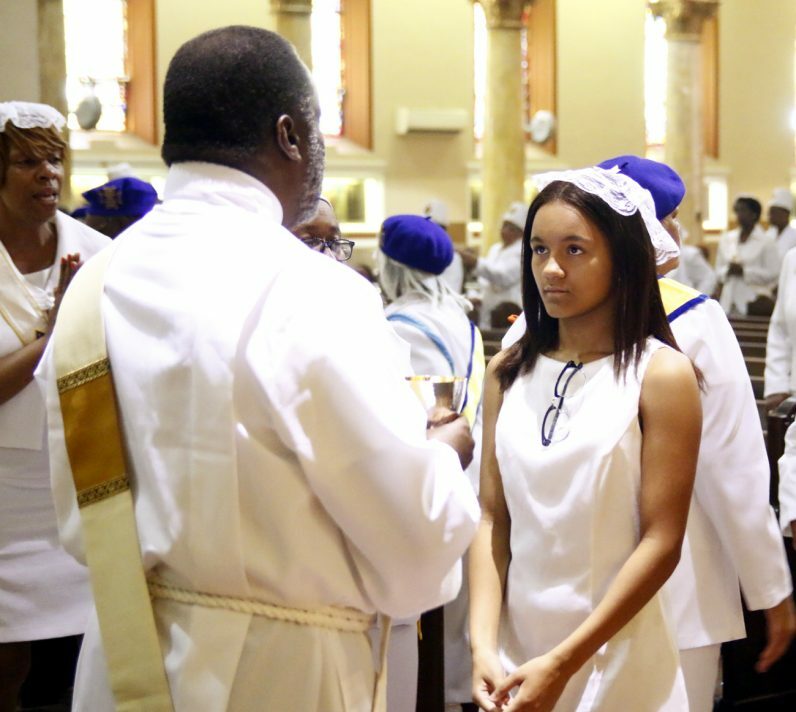 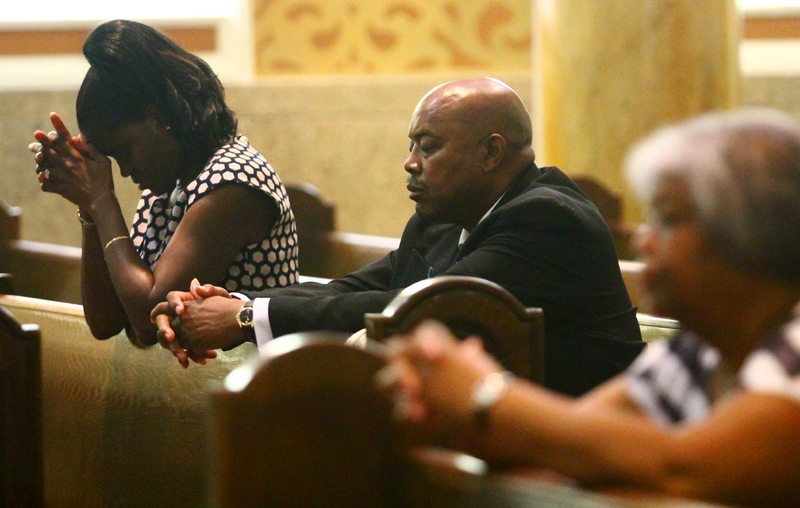 Dr. Renee Robinson (left) and her daughter Van pray together during the Mass for St. Peter Claver at St. Cyprian Church. 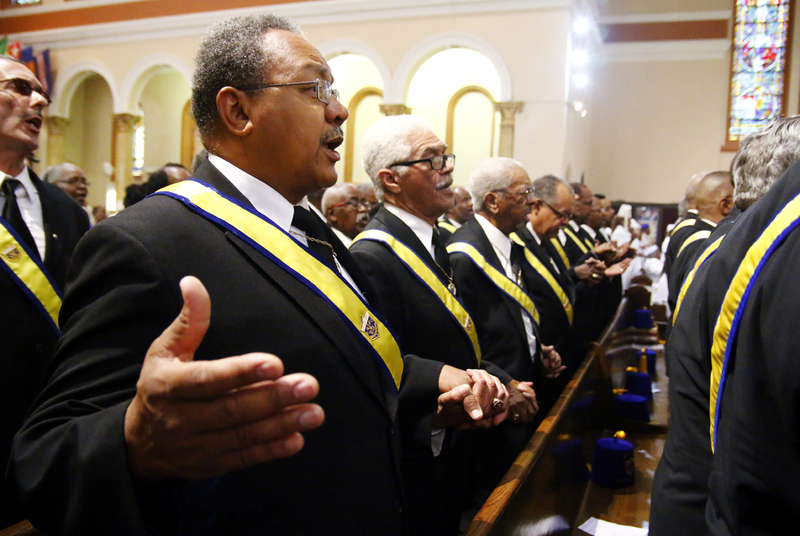 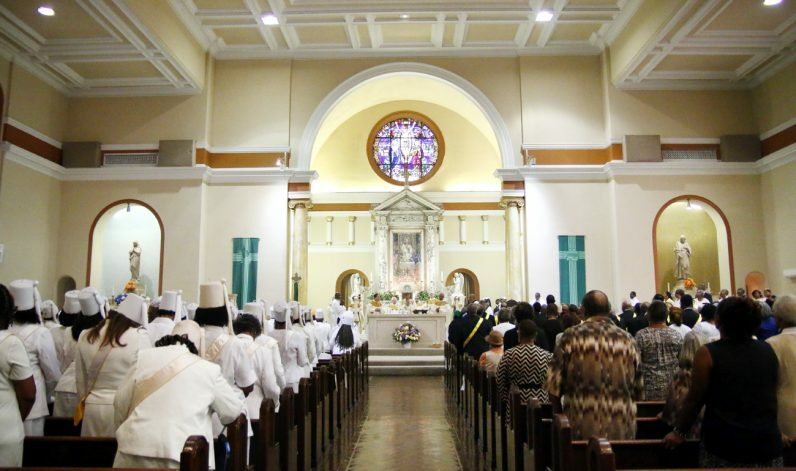 The Knights of Peter Claver came out in strength for the Mass for their patron saint, St. Peter Claver. 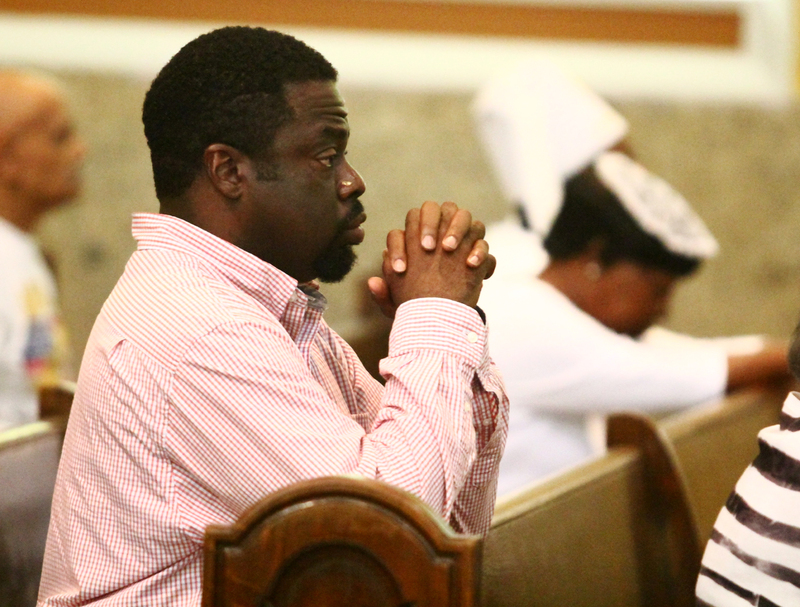 First year theology seminarian Jamey Moses, a member of St. Martin de Porres Parish in Philadelphia, prays during the Mass honoring St. Peter Claver at St. Cyprian Church.